Alfa has been producing ovens for over 40 years being inspired by constant innovation, careful selection of all-Italian materials and an almost maniacal attention to detail. Products with a unique design fitting well into rustic or contemporary decors, in terraces as well as gardens or in the vast restaurant industry at large. 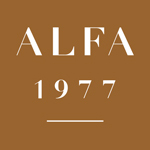 To accommodate our continued growth, Alfa 1977 is seeking qualified dealers in many market areas.